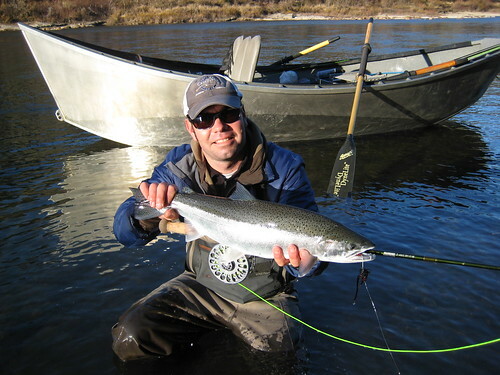 I take pride in providing you with the best guided fly fishing trip possible. Over fifteen years of experience, enthusiasm for the sport, as well as a patient, professional, and focused attitude distinguish the service I provide. From the most inexperienced angler to the seasoned veteran, I look forward to helping you improve your skills with expert instruction and to putting you on fish. I am a fly fishing guide because I love what I do, and I look forward to sharing it with you. Based in Eugene, OR, at the southern end of the Willamette Valley, I fish many of Oregon’s finest trout and steelhead streams including the McKenzie, Willamette, and Deschutes Rivers, as well as various coastal streams where I target winter steelhead and fall chinook. I offer trips from one to five days in duration, and can accomodate nearly any size group. I can accomodate up to two anglers in my boat, but for larger groups I work in conjunction with a number of other fishing guides who are all exceedingly competent, seasoned professionals. I operate all of my trips out of a McKenzie-style drift boat. This safe, stable, and maneuverable craft, expertly rowed by your boatman, offers a comfortable ride and is the perfect platform from which to fish the area’s rivers. The boat is also a great means to reach otherwise inaccessable stretches of the river. 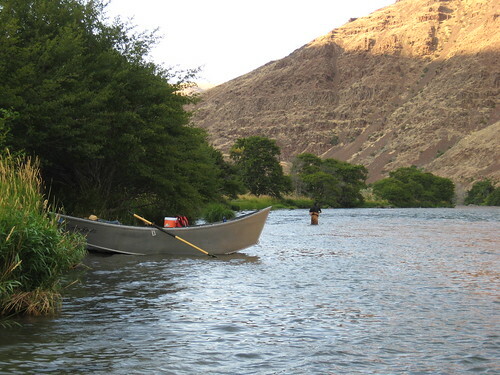 Come experience what fly fishing in Oregon has to offer! Thanks again for a great time on the McKenzie River on May 12th, 2010. Stephen and I loved hooking into some nice trout. Stephen is still talking about it. I think you may have turned him into a fly fisherman. I have fished with many experienced fly fishermen and guides. Few have had the attitude, patience and expertisethat you exhibited on our guided trip. I can see why you are so highly regarded in this area. I look forward to our next trip with you! Thanks for the good times with my sons, and brother-in-law. It was a great trip. I would highly recommend your services to anybody interested in a guided fly fishing experience around the Eugene area. If ever back again to fish in Orgeon I will be contacting you. Thanks again for the great service, lunches, and instruction, we had a blast. Ethan – Caroline and I had an awesome time with you on the McKenzie yesterday. If you told me we would catch over so many fish in a few hours, I wouldn’t have believed you. But we did, and the credit goes to you. Thanks for the teaching and instruction, for helping us find all those fish, for an awesome lunch, and for your great attitude dealing with us amateurs. When my father-in-law comes for a visit, you can be sure you’ll hear from me. We can’t thank you enough for the outrageously good fall trip on the Deschutes. We had a blast. Thank you for making our first steelhead trip a successful one. I’m still dreaming about the feel and sound of that drag ripping out! Your approach was the perfect balance between effective feedback and relaxed camaraderie. We look forward to fishing with you again soon. Thanks for taking us out yesterday. As always we had a fantastic time! 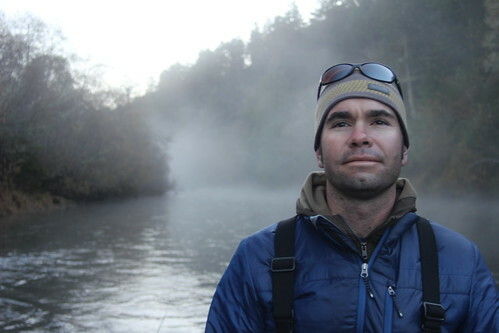 We think you are the best fishing guide in Oregon. Thanks for being so great with our daughter, she had a great time and will remember this for years to come. May the river treat you well. Ethan took four of us out with fellow guides Scott and Kyle July 28-31 2012 and we had an excellent trip. I have been fly fishing for over 10 years, but my girlfriend Meagan just picked it up last year, and Ethan put us both on a ton of fish and helped both of us improve our techniques. A lot of the fish we caught were over 12″, and a few were over 18″. We will definitely fish with Ethan again in the future.